Executive Presidency: Can it be abolished in a hurry? With no party enjoying a majority in the Parliament, now it’s a favourable alignment of forces in the political landscape for such a constitutional change and the JVP seems to have struck it at the most opportune time. Our political leaders in most instances have acted in their own interest and they are sure to do so this time as well, but it will incidentally do some good for the country if the result is going to be abolition of the executive presidency. Abolition of the executive presidency has surfaced in the political debate again. Since early nineties the matter has been brought up many times in election promises -- first by Chandrika Kumaratunga in 1994, then by Mahinda Rajapaksa in 2005 and 2010, and lastly by Maithripala Sirisena in 2015. Yet for all, none of them kept their promises and instead displayed their duplicity by trying to enhance their power or stick to it as long as possible. 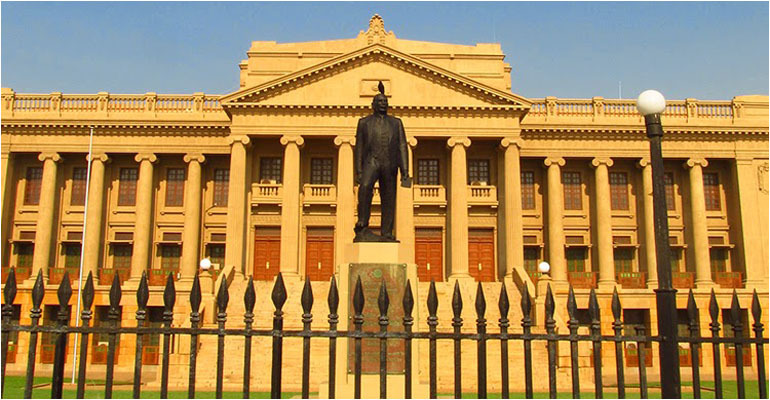 The only minor deviation from this trend was visible when Maithripala Sirisena agreed to prune down some of the presidential powers by establishing independent commissions and imposing a two term limit for a person to hold the presidency, through the nineteenth amendment. However, it became possible as it happened hot on the heels of the 2015 presidential election which was fought on the broad theme of curtailing authoritarian trends and introducing good governance. It was introduced within a few months of the election and there was hardly any time for a change of mind by the head of state. All that is good evidence for one to believe that any changes to the executive presidency has to be introduced only in the first part of one’s term and towards the latter part any incumbent President will try to find ways and means to consolidate his position and come back to power for a second term. 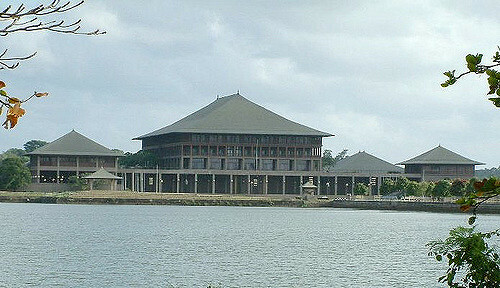 However, this is the first time that the idea of abolishing the presidency has come to the centre-stage towards the end of a government’s term and has also become the subject of discussion among the three powerful political leaders of the country representing different political groups -- Maithripala Sirisena, Ranil Wickremesinghe and Mahinda Rajapaksa. This matter has special relevance and advantage for Mahinda Rajapaksa because by virtue of the nineteenth amendment he is effectively debarred from contesting for a third term. Thus, the only avenue available for him to become politically powerful again is through a prime ministerial system and that is why he has told the JVP leader Anura Kumara Dissanayake that he is in favour of abolishing the executive presidency although he is not ready to support the proposed twentieth amendment in its present form. The joint opposition led by Mahinda Rajapaksa has not so far reached any consensus on a presidential candidate although Gotabhaya Rajapaksa has indicated his willingness and intensified his campaign. There seem to be a lot of confusion there as Rajapaksas themselves appear to be divided on the issue while the US citizenship issue of Gotabhaya is still not resolved. Then for Maithripala Sirisena the idea can be much attractive as his position is weakening day by day with little or no prospects for wining a second term. On the contrary he may stand the chance of becoming the non-executive head of state in return if he supports the abolition of the executive presidency. It would have been possible for him to think of a second term if the political coup he staged with Mahinda Rajapaksa had succeeded and there would have been some understanding between the two to that effect, but now the scenario has completely changed and that is why the proposed discussions between Sirisena and Rajapaksa on this matter has still not materialized. In this situation the proposal is much likely to receive the support of the former President Chandrika Kumaratunga, the TNA and all civil society groups that have been clamouring for abolition of the executive presidency. However, the TNA will not simply back it and naturally they will expect a solution to the northern problem as well through the same constitutional amendment which finally has to be approved by the people at a referendum. It can be a new opportunity to resolve the northern issue because the same amendment can include a devolution package and establishment of a Senate. It can also be an opportunity to modify or abolish the much maligned PR system of elections. Opposition will come from minority political parties if there is any attempt to abolish the PR system, but they may agree to a reasonable modification to the electoral system with 30 or 40 percent PR and the rest on a first-past-the-post system. In the current situation a return to the Westminster system of government can be personally advantageous to all the main political leaders of the country. However some of the vocal politicians currently in the joint opposition may not like the idea because most of them do not have strong political parties that can independently survive in a parliamentary system of government. Instead they seem to be more comfortable with hanging on to a strong individual in the form of an Executive President. Moreover such a move will also ensure that the political power will remain in the hands of these two or three groups and with the traditional political families. The continuance of the presidential system with a two term limit will result in new individuals and new groups capturing the political power in the country. Therefore, it is very likely that all these three groups will act in such a way to retain the political power among themselves. However, the question remains that with presidential elections being due in November whether the limited time available will be sufficient to effect such a major political change. It will not be possible to scrap the executive presidency without modifying the electoral system as the PR system and executive presidency are closely interconnected. The other issue is another set of constitutional proposals which may also aim at abolishing the executive presidency while also addressing all other relevant issues including devolution of power has been already developed through the Constitutional Assembly and is now before the Parliament. In such a scenario it is difficult for the major political parties to look at the issue of abolishing the executive presidency in isolation while ignoring the issues of devolution of power and electoral system. If such an amendment is to successfully go through the passage of Parliament it should receive the blessings of the minority communities and the small political parties as well. A very good analysis. Time is certainly opportune. But will the leaders of the major political p[arties rise to the occasion? If they want to, they can kill two birds with one stone: abolish the accursed Executive presidency and resolve the festering national issue one and for all. But will they rise to the stature of statesmen?